Great tutorial Martijn on creating custom edit profile. I’ll love for you to extend this to include custom user meta/field. Could you help me to tell me that? Hi, great tutorial. Have implemented your code and it works great! I am about to buy ACF pro for the user avatars. Do you know if that will work for user type “contributor”, will contributors be able to upload photo via front end? (with capability upload_files check). I have tried “WP User Avatar” with no success, it allows uploads via front end but it seems to work only for administrators. I believe this is exactly what I would like to add to my site, but I don’t understand if these are all supposed to be separate files, where to store them and how to call them. Can you share the file structure you used? This is great, thanks for your contribution! (Spanish) No suelo comentar publicaciones pero en este caso veo necesario hacerlo para agradecerle ya que me ha sido de gran utilidad para darme una idea. Muchas gracias… Saludos! I’ve been working on it for days. This article saved my weeks. Thank you Martijn! Helped me a lot, thank! 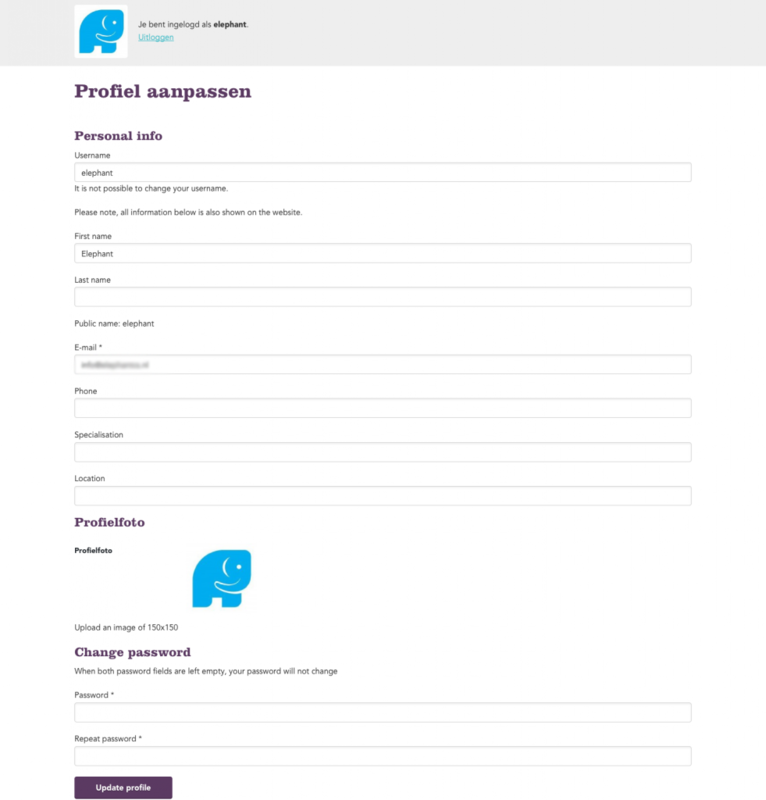 This is What I would like to do in my site, Something simple, Just to let users after registration, edit their profiles in front end, Just a few fields ( First name, last name, company name and bio) thats all. I am using BuddyFoms Plugin to let people posting in front end, they have a registration form, but they dont have a form where people can adit the profile, if sombody wants to chance the name or edit the bio…is not posible in front and. Thanks Martijn! Things were frustrating me for weeks until thuis gem popped up, will come back for more!